Mumbai: Continuing its rising streak for the seventh straight session, the BSE Sensex rose 114 points and the NSE Nifty regained the 8,900-level in early trade Thursday as participants indulged in enlarging positions ahead of Budget. The 30-share barometer spurted by 114.65 points, or 0.39 percent, to trade at 29,434.91 with consumer durables, realty, auto, oil & gas and banking sector stocks, leading the rise. The gauge had rallied by 1,092.84 points in previous six sessions. Similarly, the National Stock Exchange index Nifty regained the 8,900-mark after three weeks by rising 32.60 points, or 0.36 percent, to 8,901.70. 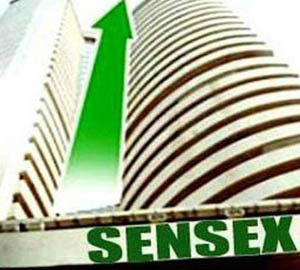 Mumbai: Extending gains for the sixth straight session, the benchmark BSE Sensex rose over 105 points in early trade Wednesday as participants indulged in enlarging positions on hopes of faster economic reforms by the government and optimism over the forthcoming Budget. The 30-share index was trading higher by 105.68 points, or 0.36 percent, at 29,241.56 with stocks of FMCG, realty, capital goods, consumer durables, power, bank and healthcare sectors, leading the rise. 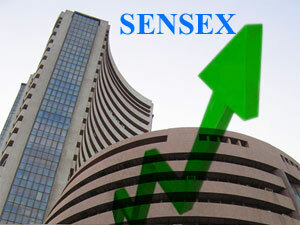 The Sensex had gained 908.46 points in the previous five sessions. 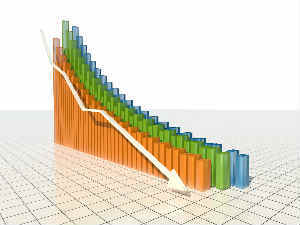 Also, the National Stock Exchange index Nifty edged higher by 31.60 points, or 0.35 percent, at 8,840.95. Brokers said optimistic buying by participants ahead of the Budget and acceleration in economic reforms by the government, led to the rise. 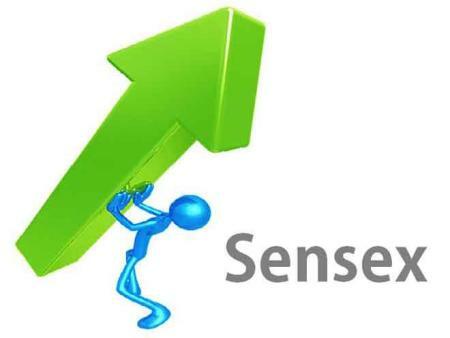 Mumbai: Continuing its upward journey for the fifth consecutive session, the benchmark BSE Sensex gained 132 points in early trade on Monday as funds and retail investors enlarged positions on hopes of pro-growth Budget and better third quarterly earnings by some bluechip companies. Besides, a firming trend at other Asian markets buoyed trading sentiments here. The 30-share index was trading higher by 131.93 points, or 0.45 percent, at 29,226.86 with all the sectoral indices, led by realty, metal, oil & gas and banking, leading the rise. The gauge had gained 867.54 points in the previous four sessions. Also, the National Stock Exchange index Nifty shot up by 34.90 points, or 0.40 percent, at 8,840.40. Mumbai: Continuing its rising streak for the fourth consecutive session, the benchmark BSE Sensex gained over 110 points in early trade Friday on the back of a firming trend in global market. However, discouraging IIP and retail inflation data, limited the gains. The 30-share barometer moved up by 110.17 points, or 0.38 percent, to 28,915.27 with healthcare, realty, metal, consumer durables, FMCG and banking sector stocks, leading the rally. The gauge had gained 577.71 points in past three sessions. On similar lines, the National Stock Exchange index Nifty rose by 39 points, or 0.45 percent, to 8,750.55. Mumbai: Rising for the third straight session, the benchmark BSE Sensex gained over 151 points in early trade on Thursday as participants engaged in enlarging positions ahead of IIP and retail inflation data to be released later in the day. Besides, expectations of faster economic reforms by the government and optimism over the forthcoming Budget, buoyed trading sentiments. The 30-share index was trading higher by 151.91 points, or 0.53 percent, at 28,685.88 with stocks of auto, consumer durables, power, realty and capital goods sectors, leading the rise. The gauge had gained 306.58 points in the previous two sessions. On similar lines, the National Stock Exchange index Nifty rose by 36.30 points, or 0.42 percent, at 8,663.70. Mumbai: After negative opening, the benchmark BSE Sensex bounced back smartly by 264.57 points and Nifty reclaimed 8,600-level on bouts of value buying in most sectors led by banking, auto, consumer durables, metal, power and FMCG in late morning deals. Positive macro-outlook overlapped the market sentiment and Delhi election results where the Aam Aadmi Party was heading towards a landslide victory in Delhi Assembly polls, a broker said. Shares from Midcap and SmallCap companies also supported the market gain. Meanwhile, foreign portfolio investors sold shares worth a net Rs 660.30 crore yesterday, as per provisional data. The Sensex opened at 28,122.48 and drifted to 28,044.49 before rebounding to a high of 28,522.71, quoting 28,491.96 at 1040hrs. Mumbai: After two sessions of losses, the benchmark BSE Sensex rose over 130 points in early trade Tuesday on fresh spell of buying by participants ahead of RBI's monetary policy review. The 30-share index, which had lost 559.50 points in the previous two sessions, recovered by 130.79 points, or 0.44 percent, to 29,253.06, with consumer durables, FMCG, oil & gas, auto and banking sector stocks leading the rise. On similar lines, the National Stock Exchange index Nifty gained 26.00 points, or 0.30 percent, to 8,823.40 in early trade. 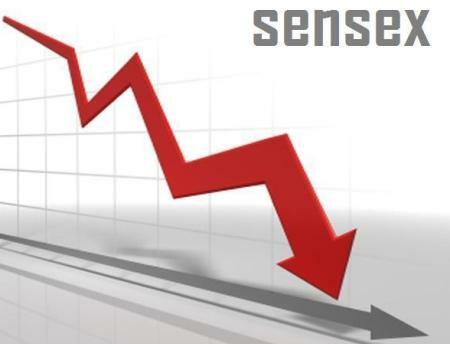 Mumbai: The benchmark BSE Sensex fell by 136 points in early trade on Monday on sustained profit-booking by participants after recent gains amidst a weakening trend overseas. 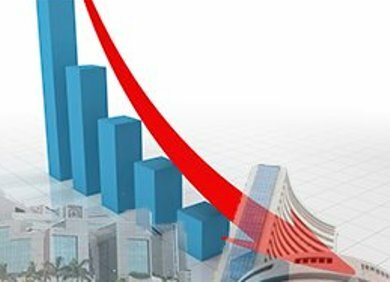 The 30-share index fell by 136 points, or 0.47 percent, to 29,046.95 as banking, PSUs, metals, oil & gas and FMCG stocks witnessed tremendous sell-off. The gauge had retreated from record-high and tumbled by 498.82 points in the previous session on Friday on heavy profit-booking. Similarly, the National Stock Exchange index Nifty dipped below the psychological 8,800-mark by falling 27.90 points, or 0.32 percent, to 8,781.00 in early trade. Mumbai: The BSE Sensex continued its record setting spree and hit a new peak of 29,844.16 and the NSE Nifty inched towards the 9,000-level in early trade on Friday on robust fund inflows and sustained optimism over the upcoming Budget. The 30-share index rose by 162.39 points, or 0.54 per cent, to hit a new peak of 29,844.16 (intra-day), breaking its previous record of 29,786.32 touched on January 28. In previous ten sessions, the Sensex had recorded a massive rise of over 2,346 points, or more than 8 per cent. 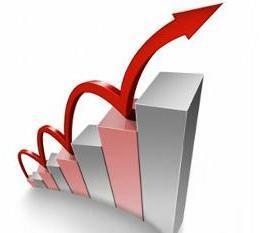 Stocks of realty, power, IT, capital goods, PSU and oil & gas sectors, led the rise. Mumbai: The benchmark BSE Sensex fell over 152 points in early trade on Thursday as participants locked-in gains in bluechip stocks amid caution in view of monthly expiry in the derivatives segment. Besides, profit-booking in with stocks of metals, PSU, banking, power, infrastructure, auto and healthcare sectors, negatively impacted trading sentiments. The 30-share barometer, which had retreated from its record-high by falling 11.86 points in yesterday's highly volatile session, fell further by 152.74 points, or 0.51 percent, to 29,406.44. The National Stock Exchange index Nifty also slipped from record-high and shed 52.80 points, or 0.59 percent, to 8,861.50. Mumbai: Snapping its bull-run for eight consecutive sessions, the benchmark BSE Sensex fell over 58 points in early trade on Wednesday as participants locked-in gains at current levels amid a weak trend overseas. Besides, profit-booking in stocks of realty, auto, metal, banking, capital goods and oil & gas sectors, negatively impacted trading sentiments. The 30-share barometer fell by 58.56 points, or 0.19 percent, to 29,512.48. The gauge had rallied by 2,224.22 points in the previous eight straight sessions on the back of sustained foreign fund inflows. 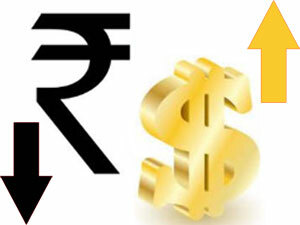 Mumbai: The rupee fell by 10 paise to 61.51 against the dollar in early trade on Wednesday at the Interbank Foreign Exchange market due to appreciation of the US currency overseas. Forex dealers attributed the domestic currency's fall to the dollar's gains against other global currencies and a lower opening in the domestic equity market. The rupee had ended marginally higher by one paisa at 61.41 against the American currency in yesterday's trade amid volatile markets on the back of a higher dollar overseas. Mumbai: Continuing their record-breaking spree, markets on Tuesday hit new highs with the BSE Sensex scaling another peak of 29,456.63 and the NSE Nifty soared to 8,878.20 in opening trade on sustained capital inflows. Besides, markets were buoyed by optimism over upcoming Budget and quarterly earnings amidst positive domestic factors and mixed global cues. The benchmark BSE Sensex climbed by 177.79 points, or 0.60 per cent, to trade at a new high of 29,456.63, breaking its previous record of 29,408.73 reached on Friday. 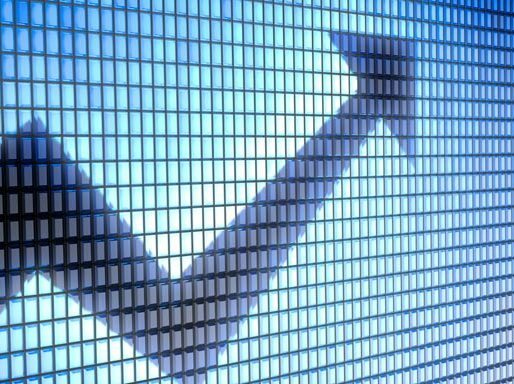 Stocks of capital goods, power, consumer durables, auto, FMCG, banking, infrastructure and realty sectors led the rally and rose up to 2.11 per cent.